ST. LOUIS, MO. 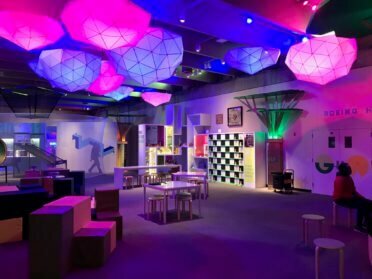 (Sept. 25, 2018) –The Saint Louis Science Center will open a new exhibition, GameXPloration, on Saturday, Oct. 13. The 7,500-square-foot exhibition will feature a multitude of experiences that explore how games impact our lives and what they reveal about us through the lenses of psychology, neuroscience, and technology. ”The exhibit was designed in partnership with Gensler, an internationally recognized and award-winning design firm. 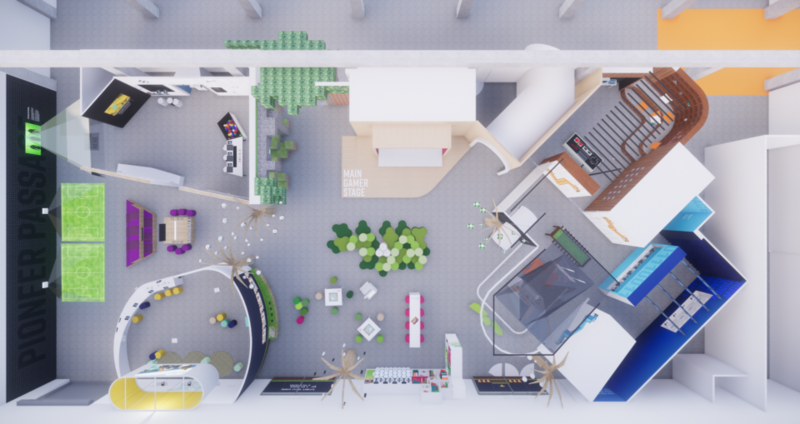 By examining the diverse ways people think about games, gaming, and competition, the project team developed a dynamic and highly interactive space that unlocks each visitor’s inner gamer. Gensler designed the visual identity of the exhibition. All exhibit elements for GameXPloration are being produced by the Science Center’s internal exhibits team. The exhibition features five worlds with different themes that take the visitor through the evolution of games and gaming, from board games to virtual reality. GameXPloration features more than 30 interactives to play. 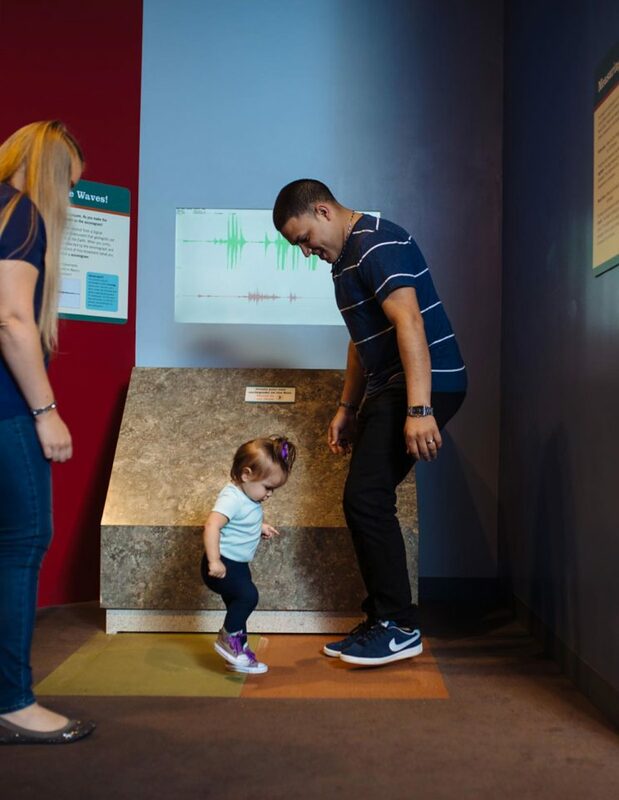 This exhibition is unique in that it is the only gallery at the museum to be co-developed with Science Center audience members. Teens from our Youth Exploring Science (YES) Program have been integral to the design and production of this highly interactive experience. 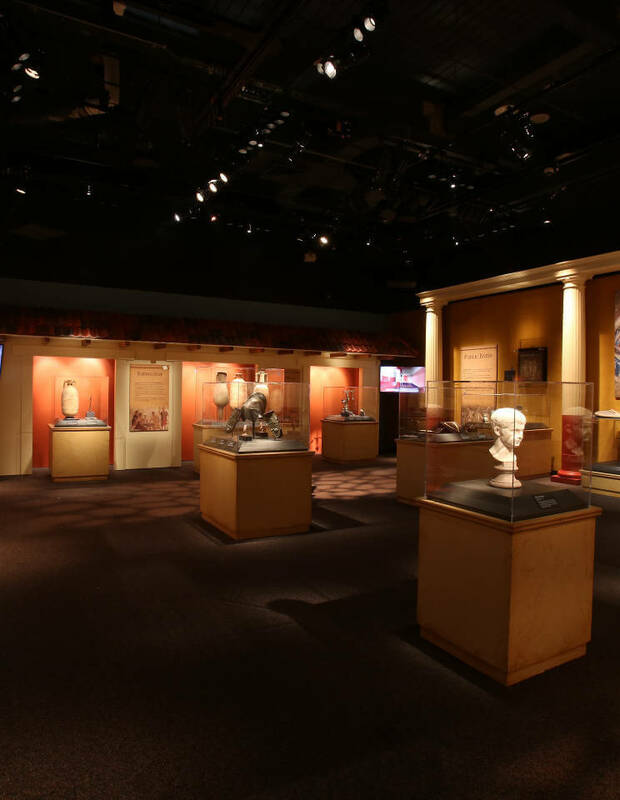 They have also been tapped to staff the space and serve as game interpreters throughout the run of the exhibition, providing recommendations for new content and experiences. GameXPloration is made possible with generous support from Positronic, Microsoft, Electrical Connection and Heartland Coca-Cola. Welcome to a universe of games, a universe that does not follow the dimensions of space and time, where you will play to learn and learn to play. See what games reveal about us. They allow us to explore new identities, relate to others and grow more competent in skills like critical thinking and problem-solving. Explore a universe of games and see yourself in a whole new dimension: as a gamer. Games have been played since the beginning of recorded history. What is a game? Who is a gamer? Why is play important? Explore all of these topics and climb on our AR (Augmented Reality) Climbing Wall. Take on competitors with some traditional board games and take a new look at chess on a vertical chess board. When you think about the word “technology,” a computer or digital device may come to mind. However, tools such as a hammer or a pencil are also forms of technology. This world explores how the technology of games has evolved over time, from ancient civilizations creating rubber bouncing balls out of tree sap, to computers and game consoles, to games on mobile devices. Use teamwork to play Super Mario Brotherson a controller so large you need to grab a partner and use your feet to hit the buttons. Check out the first widely known video game, Space War! Games satisfy many core human needs and motivations, including autonomy (desire to have freedom of choice), competence (desire to control outcomes and master skills) and relatedness (desire to be connected to others). This area explores these motivations in arcades. Play Atari 2600: Pitfall, Pac-Man, Space Invaders, tube tennis (table tennis played through a tube), and 8-player foosball. Explore how virtual and augmented reality modify our real world with digital technology. Find out how virtual reality and augmented reality are similar and what makes them distinct. Explore Merge Cube, Gamification, HTC Vive and Standalone VR. Check out 8-person Mindball and floor projected games. Become the game creator. Learn about how game developers approach designing games. Play games developed by local developers and companies. Find out how you can become a game designer! The mission of the Saint Louis Science Center is to ignite and sustain lifelong science and technology learning. 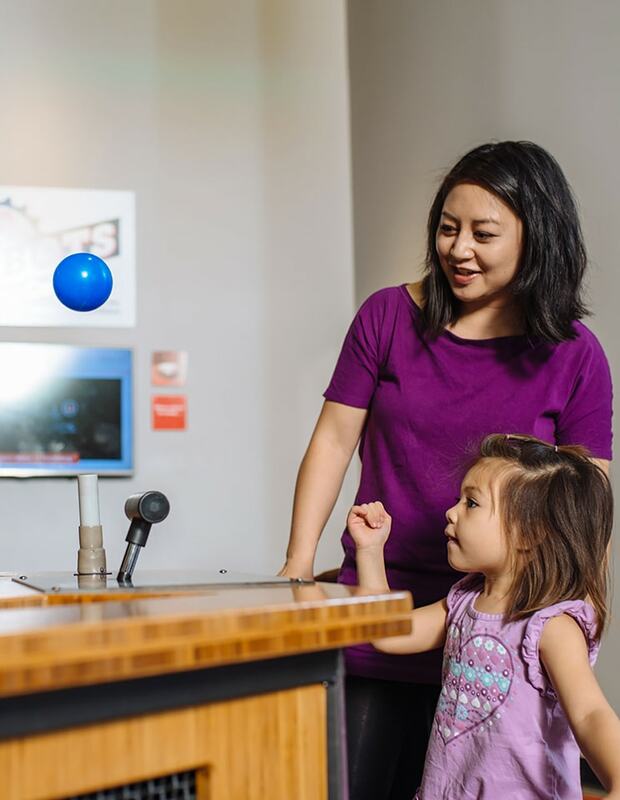 Named a Smithsonian Institution Affiliate in 2016, the Saint Louis Science Center features more than 700 interactive exhibits, as well as a five-story OMNIMAX® Theater, Boeing Hall and the James S. McDonnell Planetarium. For more information about the Saint Louis Science Center, please visit slsc.org. 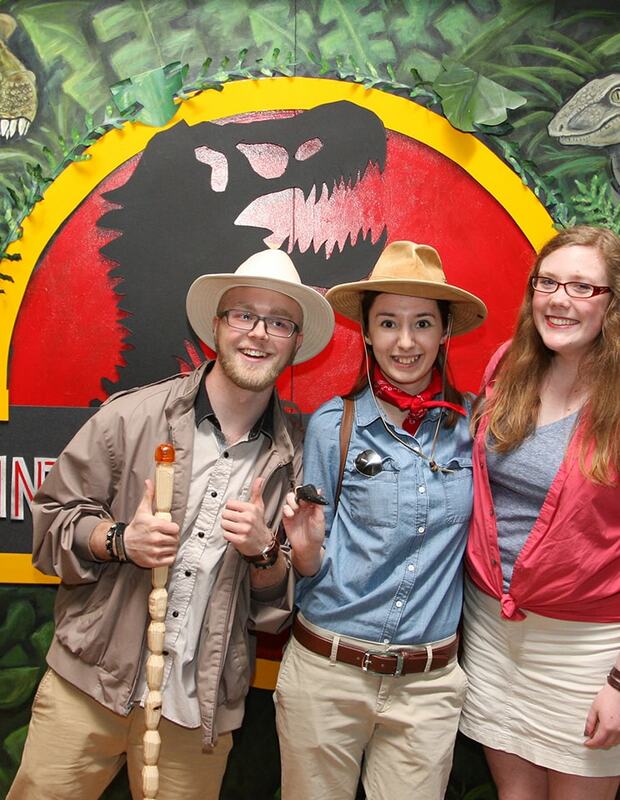 The YES Program is an integral part of the Saint Louis Science Center’s mission to ignite and sustain lifelong science and technology learning. 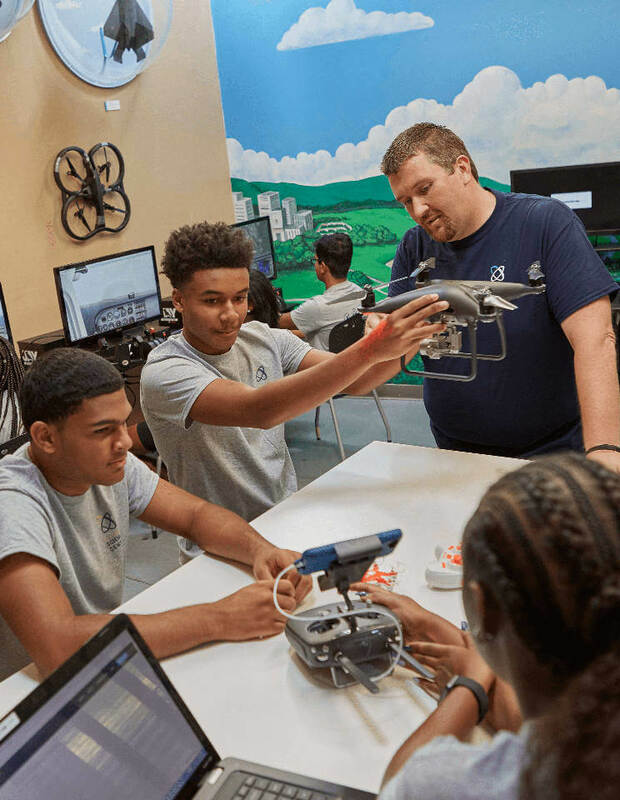 Using an informal learning environment and project-based education in science, technology, engineering, art, and mathematics, each year the YES Program helps 250 teenagers grow professionally and academically. YES teens are chosen through our community partners, who provide technical and developmental skills to youth throughout the St. Louis area. Gensler is a global architecture, design and planning firm with 46 locations and more than 6,000 professionals networked across Asia, Europe, Australia, the Middle East and the Americas. Founded in 1965, the firm serves more than 3,500 active clients in virtually every industry. Gensler designers strive to make the places people live, work and play more inspiring, more resilient and more impactful.